FREYA CANDEL was born in Brussels in 1984. She received her Master of Science in Architecture in 2008 from Sint Lucas Brussels after she spend 7 months in Tokyo with a scholarship from The University of Tokyo. Following to this experience, her master thesis became “Open space by development in Tokyo”. To gain more experience, she worked as an architect in an office in Amsterdam in 2009. For the first time, she practised her job and she started to ask herself some questions about architecture and the role of the architect. The beginning of 2010 she arrived in East-Africa, were a journey of experiences in architecture began. Volunteer work and her work at PLOT.form as co-founder gave her the inspiration needed to found the non-profit organisation C-re-aid. In 2014 she received her advanced Master of Science in Cultures and Development Studies from the faculty of Anthropology. During these studies, she found her passion for social sciences and was able to write her experiences down in several papers. The paper “Informal Economy in Informal Settlements” was presented on the conference “Creative adjacencie” in Ghent. In her thesis “Possibilities of Architecture” she evaluates the projects of C-re-aid conducted in 2013. She has over 8 years experience in architecture, housing and research in a developing country and has established the term “social architecture” within her NGO C-re-aid. Her work as the Executive Director of the NGO includes evaluating the possibilities of architecture, as a material and social implementation in poverty-stricken communities in Northern Tanzania, based on the idea that a house is a basic right for all citizens and serves as a foundation for other basic needs. Our vision is to create a place where people can be creatively inspired within a hand reach to apply affordable and sustainable way of building. In 2016 she has managed a team over 15 people, trained several students architecture and recent graduates and has realised over 25 building projects in Tanzania. 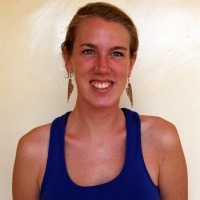 Freya her personal goal is to expand C-re-aid NGO into an organisation that is active in several countries of East-Africa and increase the amount of people reached by architecture exponentially.